Stomach fat is a common problem form which everyone wants to get rid of. Stomach fat is also known as abdominal obesity which surrounds the abdomen. Due to busy work schedules and inappropriate workout excess fat gets stored in the form of bad fat in the body which makes the stomach flabby that bulges out giving an ugly look to the body posture. It is not at all difficult to reduce stomach or abdominal fat to get a perfect figure. All you need is to eat healthy and do regular exercises, a flat belly make a person self confident and satisfied. 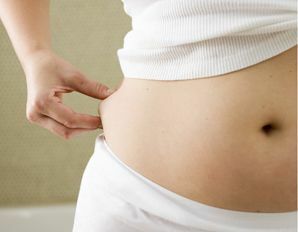 Many times your belly fat creates an embarrassing situation when you want to wear your favourite dresses but you stomach fat do permit to do so. Check out some easy tips to reduce belly fat from below. First step towards reducing belly fat is to do regular aerobic exercises as they are very effective and reduces excess or unwanted calories form the body. Strive for 30 minutes a day with 10 minutes rest in between. It can include dancing, swimming, running or cycling as per your convenience. These food items contains lots of calories which adds unwanted extra fat in the body. Addiction to sugar and saturated food items are considered one of the important reason of belly fat. 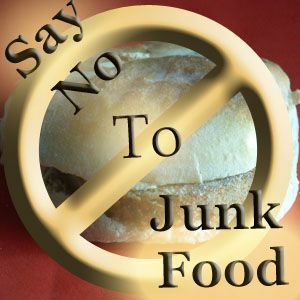 Try to eat healthy and ignore junk food and sugary items. Drinking alcohol daily and that to in excess amount accumulate fat around the waist. Drinking alcohol do not provide any kind of nutritive content to the body rather it adds a layer of fat around the belly. It should be consumed in a moderate amount but not daily. 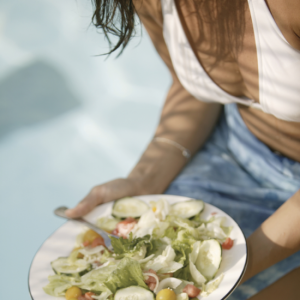 Salty food should be avoided in order to get a fat belly it will help in minimizing retention of water. For flavoring the food other herbs and spices are the good substitute of salt. Eat healthy and fresh vegetables at dinner rather than rice, try to take a light meal at night in addition do not eat anything for about two hours before you go to sleep as food consumed late normally get stored as fat and the body is not able to digest it properly. Last nut not the least drink plenty of water to replace the consumption of other beverages like sweet drinks, soda, coffee etc. Water helps a lot in reducing fat instantly. Try to drink 8 glasses of water per day to get a flat and beautiful belly. Weight Loss reduce belly fat, Weight loss tips. permalink.